As your vacation planning begins in earnest, we thought it would be helpful to reach out to other family travel experts and ask their opinions on the best family vacation destinations. The responses cover the globe, from extremely popular Cuba to exotic Jordan and our neighbor to the north, Canada. 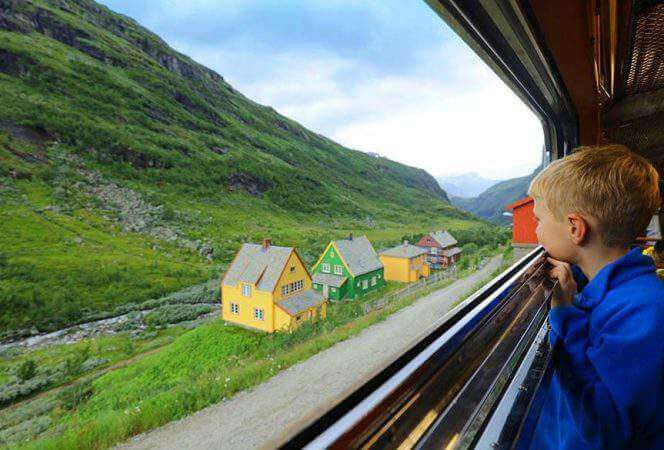 These suggestions come from the experts, family travel writers who travel with their families for a living. Everyone has visited these destinations with their families and they are sharing the best family vacation destinations for 2017 to help you with your planning! And if you’re looking for other recommendations, don’t miss our favorite vacation destination posts from 2018 and 2019! There are many suggestions for you to choose from. If the city’s name is highlighted, click to read more about the destination and why it made the top of the list. Thanks to all of these writers for sharing their favorites! 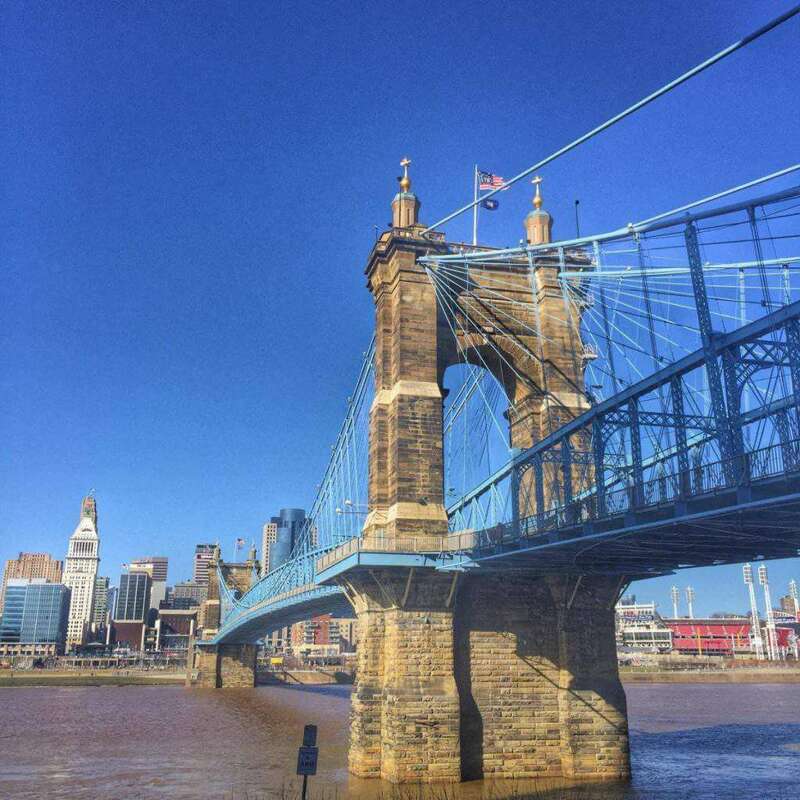 Nedra at Adventure Mom declares: Cincinnati has something to offer everyone. Learn about the unique history of the city on an underground tour that takes you inside a crypt and former lager tunnel. Learn about the history of slavery past and present at the National Underground Railroad Freedom Center or discover an enormous collection of vintage signs at the American Sign Museum. Downtown is extremely accessible with a new streetcar that connects popular entertainment districts. Washington Park is a wonderful urban park with green space, fountains, dog park, playground, with a great view of Cincinnati Music Hall. Some of the best restaurants in the city can be found on Vine Street. Foodies need to stop at Findlay Market which is one of the oldest continuous markets in Ohio. Try local vendors or sample a variety of restaurants with Cincinnati Food tours. While you are in town, you will need to check out local favorites Cincinnati style chili and Graeter’s ice cream. Art lovers can take advantage of the free admission to many of the city’s museums and take a walking tour of the incredible street art murals downtown too! Colorado Springs and the surrounding Pikes Peak region is undeniably the perfect family destination. Family-friendly activities include a scenic drive or hike at the Garden of the Gods. 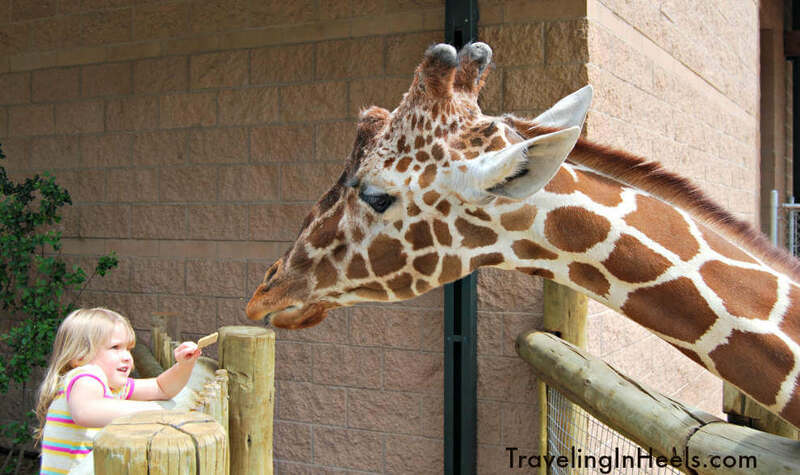 At an altitude of 6,800 feet, explore the 40 acres of Cheyenne Mountain Zoo, America’s only mountain zoo, and take time to feed the giraffes, my grandkids favorite activity at this zoo. Step on board the Pikes Peak Cog Railway for a year-round summit view, or take a short road trip to Canon City, and take in the view from Royal Gorge Bridge and Park, one of the world’s highest suspension bridges. With so many things to do and see, one visit to Colorado Springs will not be enough. Robin of Luxe Recess shared this: Although the Golden Isles of Georgia have been a popular destination for over a century, I had only recently discovered their charm and distinctive landscapes. 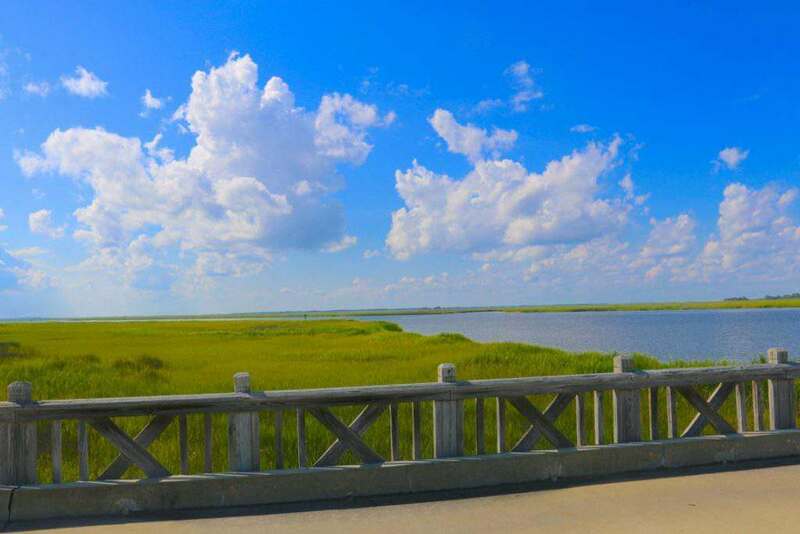 There are several Golden Isles, each with different personalities offering a range of family vacations: St. Simons Island, Jekyll Island, Sea Island, and Little St. Simon Island are all located within easy reach of Savannah and Jacksonville. Sea Island is the regional capital of luxury, and the Cloister is an exclusive club-like resort offering five-star families a decadent resort vacation, while nearby Little St. Simons Island offers a private, naturalist retreat with an undeveloped beach and family-style meals to less than thirty guests. Kayaks, sea marshes, dolphins, Spanish moss, and vast sandy beaches are the linking elements of all the islands. San Francisco has all the ingredients for a family trip that’s entertaining for both children and adults according to Jenna at This Is My Happiness. Besides the kid-friendly Exploratorium and California Academy of Sciences museums, families should devote time to the newly renovated SFMOMA. Kids will love the enormous slide and old carousel at Koret Children’s Playground, the nation’s first public playground from 1888. 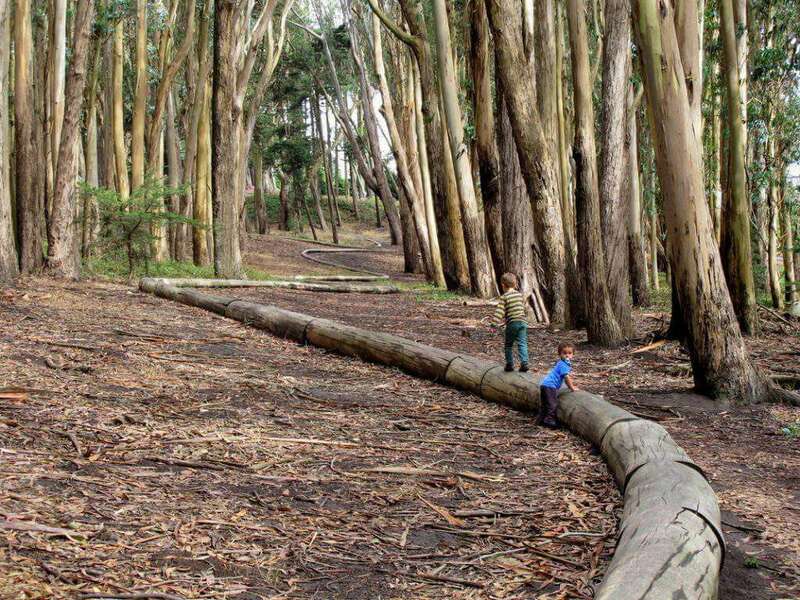 Families can easily spend a couple of days in the city’s beautiful green spaces, from Golden Gate Park and Presidio National Park to the bath ruins and hiking trails at Land’s End. Any trip to San Francisco should include time among the redwoods at Muir Woods or at Point Reyes National Seashore, where you can walk the Earthquake Trail or view elephant seals on the beaches. We would also recommend these amazing San Francisco day trips. Tamara at We 3 Travel has this to say about Yellowstone: When we were heading out west this year, someone told me that people go to the Grand Tetons for the views and Yellowstone for the wildlife. And while the views in the Grand Tetons are spectacular, I would argue that Yellowstone offers you a mix of everything. We were able to see hot springs, geysers, mountains, valleys, lakes and tons of wildlife including elk, antelope, eagles, bears, and tons of bison, of course. We will all never forget the time we spent in Yellowstone watching a grizzly bear lunching on a dead bison from the other side of the river! The first thing to keep in mind when you are planning a trip, is that you need to plan on spending at least three to four days in the Park to cover the top sites. Next, if you want to stay in the park (which given the size and location, I would highly recommend), you need to book at least a year in advance. 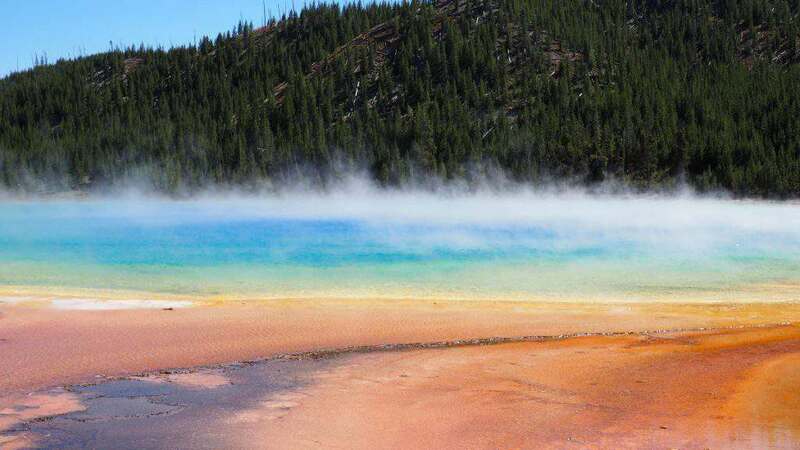 Another thing to keep in mind is that it is very easy to get geothermal feature fatigue, so don’t plan on visiting the Norris Geyser Basin, Old Faithful, the Grand Prismatic Spring, and West Thumb Geyser Basin all in one day — your kids’ eyeballs will roll back in their heads. When planning your days, I recommend mixing up some scenic drives with a family-friendly hike and a stop at one of the major attractions like Old Faithful or one of the geyser basins. With no cell coverage and amazing experiences around every corner, the quality family time that you will experience in Yellowstone is why it gets my vote for one of the best travel destinations for families. As much there are museums, galleries and playgrounds in Alberta, this destination gets the family travel vote for much more than that. It’s all about the great outdoors. 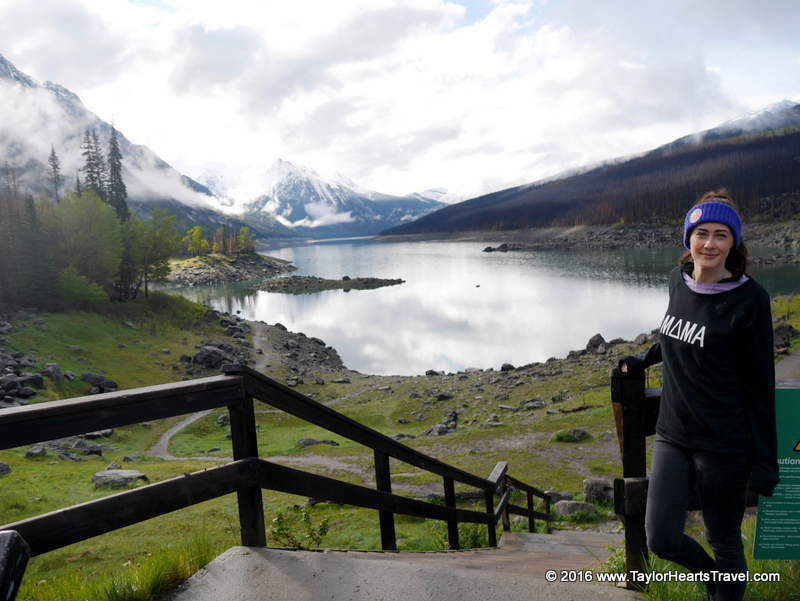 Alberta really showcases the beauty of our world according to Char from Taylor Hearts Travel. If you fly into Edmonton, make sure you head to Elk Island National Park to learn all about the local bison or to camp underneath the stars. Without a shadow of a doubt, make sure you incorporate a visit to Jasper National Park when you’re in Alberta. Our whole family absolutely loved seeing bears, climbing mountains and playing on a glacier. 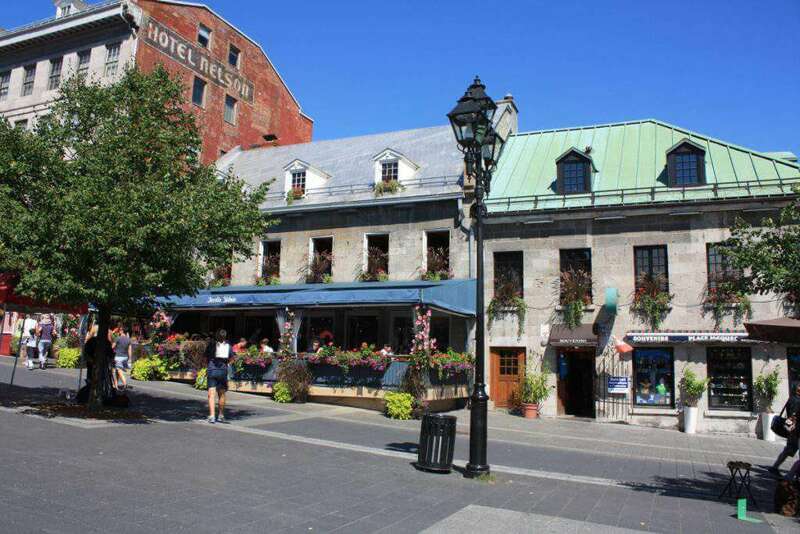 Melissa from A Little Time and a Keyboard says Montréal enchants with a mixture of old and new where families enjoy French colonial buildings in Vieux Montréal and living, breathing ecosystems in the Biodome all in the same city. Pointe-à-Callière Museum is our family’s favorite blending rich multimedia experiences with the city’s archaeological foundations. Vibrant French markets entice with sights, sounds and tastes from local vendors. We pack market finds for a pleasant picnic at Mont Royal Park while savoring a spectacular city view. Be on the lookout for special events during Montréal’s 375th anniversary in 2017. Before leaving, remember to try local maple syrup and regional dish poutine! 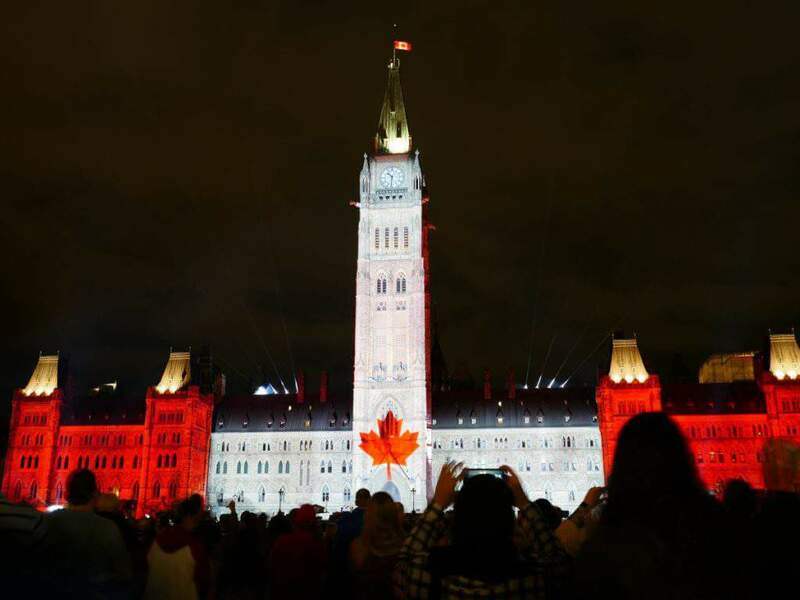 Ottawa, Ontario is the place to be in 2017 as Canada celebrates 150 years since Confederation according to Sarah of Solo Mom Takes Flight. The year kicks off with a New Year’s Eve celebration and the party continues from there. The city is introducing Ignite 150, 17 epic stunts that will happen across Ottawa in 2017. Each will surprise and delight with little to no notice. The party will continue throughout the summer with huge Canada Day events, cool art installations, and plenty of new things to try. My favourite is the Sky Lounge, a culinary experience where a crane lifts you 150 feet into the air while you taste Ottawa’s finest culinary offerings. Canada is also offering free memberships to its annual parks for 2017 making this the perfect time to enjoy a little bit of the city mixed with some of the most beautiful National Parks in the world. 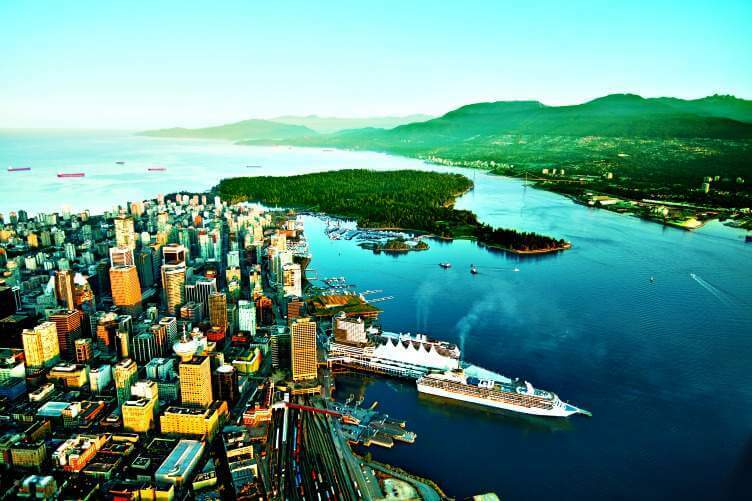 The cosmopolitan city of Vancouver is a beautiful and incredibly family-friendly destination says Claudia of The Travelling Mom. The city will be particularly festive in celebrating Canada’s 150th birthday in 2017, especially around Canada Day on July 1st. The city prides itself on its outdoor attractions, such as hiking or biking city or mountain trails in summer, and skiing the peaks of the north shore mountains in winter. As the weather is temperate on the west coast, rain is often a factor, but the many indoor options offer families opportunities for fun and active discovery. Local favorites include the educational programs of the Vancouver Aquarium and Telus World of Science, and the impressive First Nations art at the Museum of Anthropology. A visit to the Vancouver Police Museum will intrigue older kids with its sometimes morbid history of city crime and misdemeanours. Book a downtown hotel to stay close to the action, and enjoy the many ethnic restaurants within walking distance, as well as easy access to Stanley Park, one of the world’s best urban green spaces. 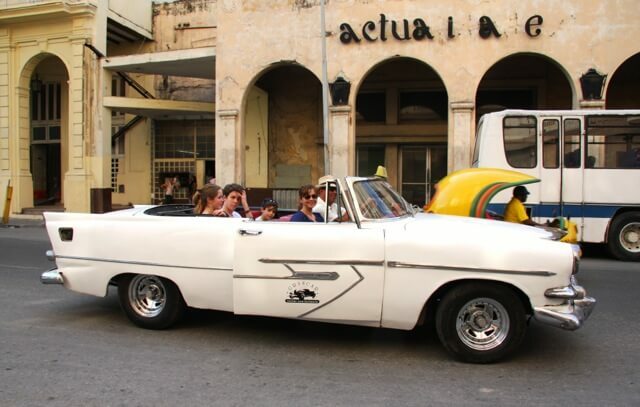 Traveling in Cuba as independent travelers is easier than you may think says Virginie of Travel with My Kids Despite, or maybe because they are coping with everyday challenges, Cubans are helpful and very welcoming. And you will also get good rental cars and terrific mojitos. One of the best experiences is to stay in “casas particulares” (homestays). Aside from being cheap, this is a great way to meet Cuban families. Don’t expect anything sophisticated, but this is where you’ll get the best fresh food and the nicest stay. Havana is fascinating with its crumbling palaces, and all the vintage cars – like being in a time warp. In Vinales, families can ride horses through the tobacco plantations. 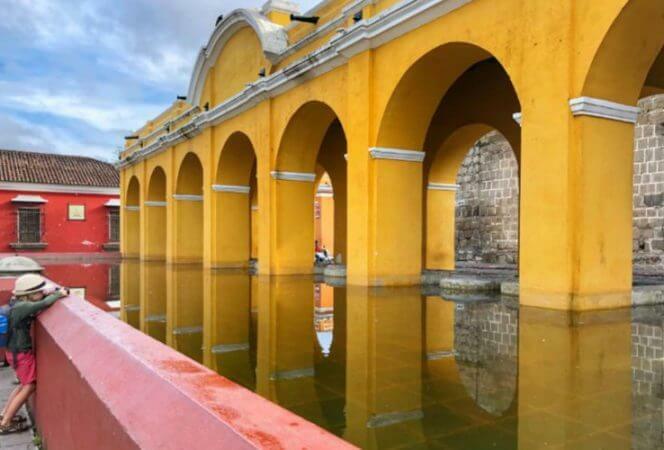 Trinidad’s historic center, with its cobblestone streets and awesome live music is not to be missed. 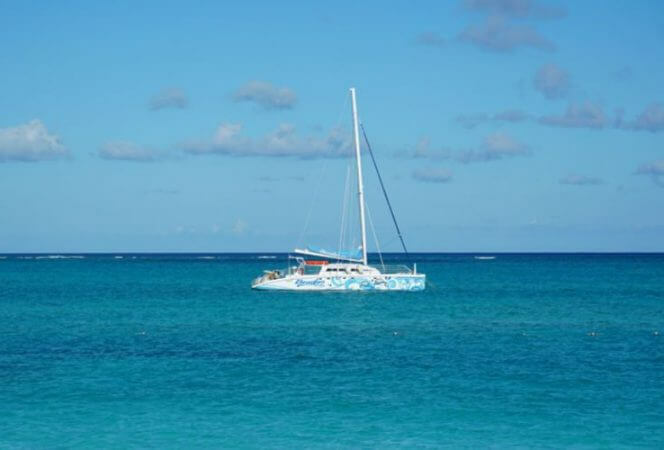 And of course there’s the beautiful coastline where you can snorkel with your kids in the turquoise Caribbean water. Cuba is still unspoiled and authentic. But mass tourism is increasing so don’t wait too long! One destination that completely exceeded Amber of Global Munchkin’s expectations was Cancun, Mexico. Cancun should be on every family’s bucket list with its gorgeous climate, pristine beaches, close proximity to UNESCO World Heritage sites, opportunities for wildlife encounters and more family fun activities than you can count, Cancun is one destination that does not disappoint. It helps that cheap flights are often available, English is widely spoken, and that there is a heap of family friendly resorts all vying for your attention. 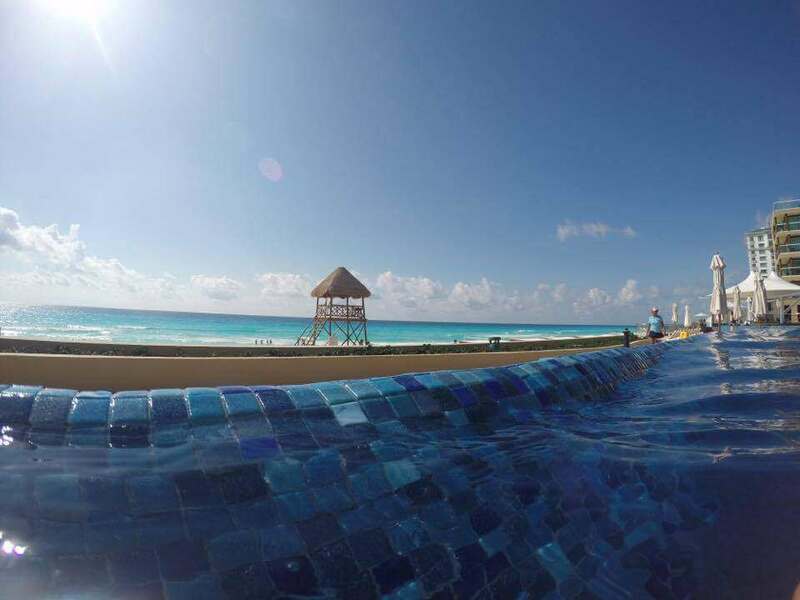 That combo means families can effectively budget travel through Cancun and still experience a pretty luxurious vacation. Families traveling to Cancun should make sure to schedule in time to swim with sea turtles in Akumal, explore the ancient Chichen-Itza with the kids, float in one of the many mystical cenotes, and have a blast at one of the Xel-Ha eco-adventure parks. No matter what type of travel your family is into you are sure to find it in Cancun. Need more ideas? Check out our favorite things to do in Cancun with kids. 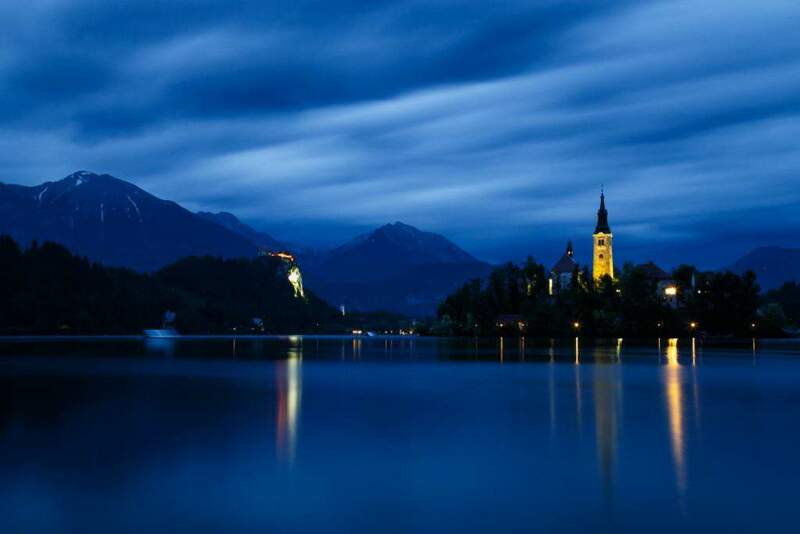 Inga from CoolkidzCooltrips says if you want something unique but safe and easily manageable, Slovenia is the answer. Small yet diverse is how one could best describe this country located in Central Europe. With access to both the Adriatic Sea and the impressive part of the Alps, it has everything within easy reach. Destinations and activities on offer can be either family friendly or adventurous depending on what you chose to do. Our advice: spend a few days in the capital of Ljubljana, walk around the petit downtown with cobbled streets, a lazy river meandering through and the castle as a backdrop. Then head out for some hiking in the Triglav National Park, white water rafting or kayaking on the emerald green river Soca, explore the caves or cycle around vineyards… Don’t miss a trip to Lake Bled with its fairytale island, but our tip is: continue further to Lake Bohinj, wilder and less frequented, but an equally stunning destination. Need more Slovenia inspiration? Read THIS post. 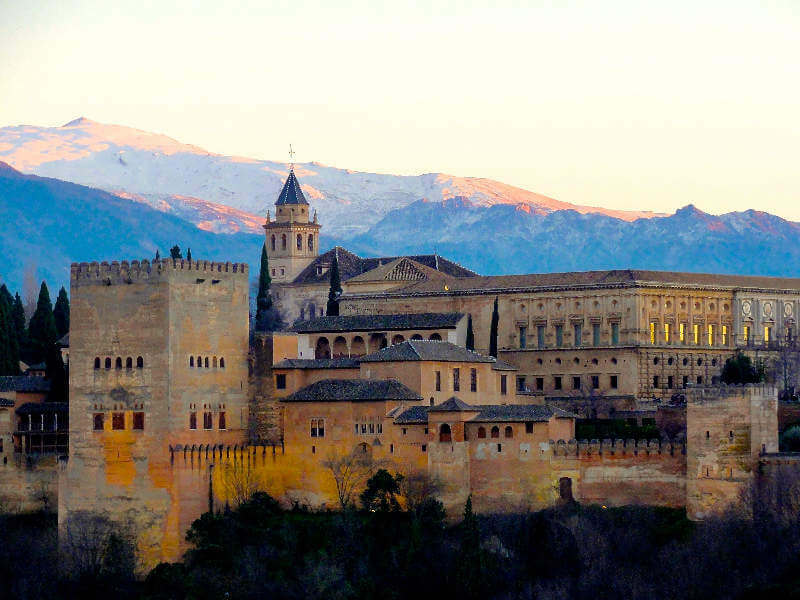 Lisa of Hilton Mom Voyage is all about Spain: Head to the heart of Southern Europe – the spectacular family-friendly country of Spain. Get ready to experience its stunning Mediterranean beaches, mouthwatering tapas, world class museums, temperate weather, friendly people and passionate fiery flamenco! Children will delight in gawking at the genius of Gaudi in festive Barcelona, playing in the sun on the Costa del Sol, strolling among the wonders of the magnificent Alhambra, rowing paddle boats in the grand El Retiro Park in Madrid, exploring the quaint alleys of historic Seville, and so much more. 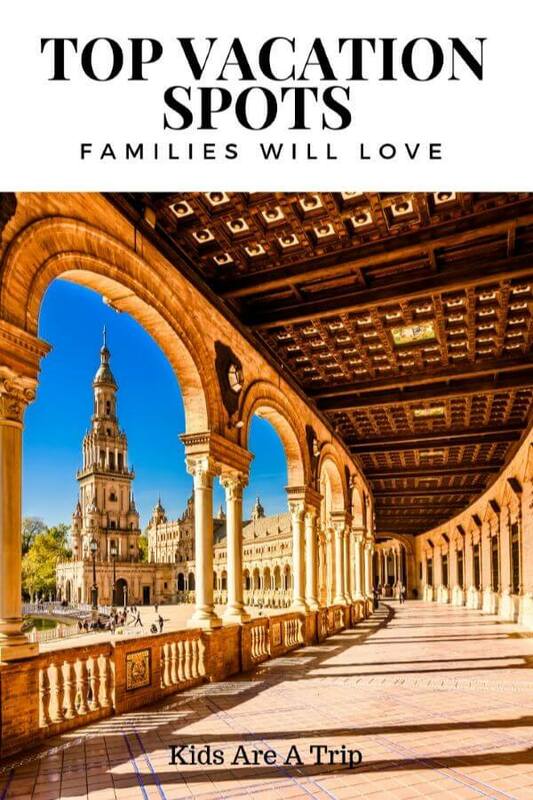 Grab your gang and set off to explore this family-friendly country that literally has it all…even delicious paella, tapas, churros and don’t forget, sangria for mom and dad! 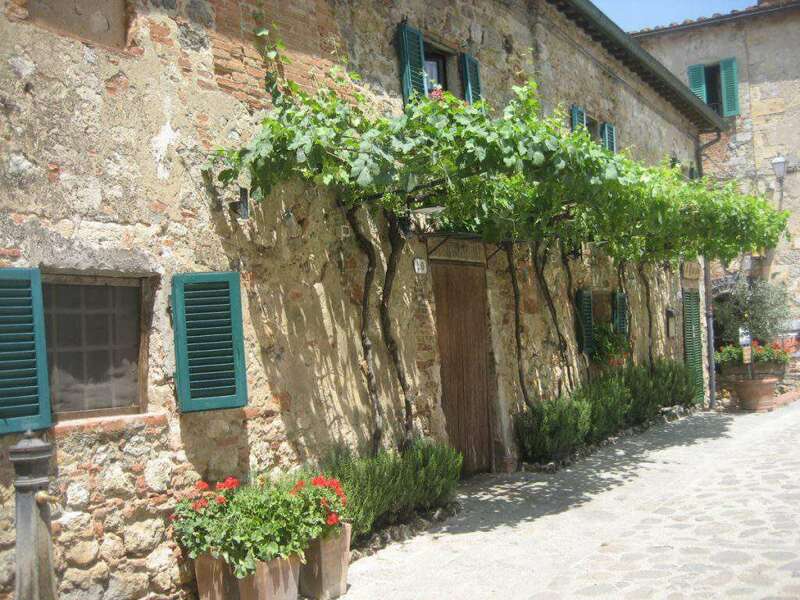 Marta from Learning Escapes recommends Tuscany as a family friendly destination. She says: Tuscany is one of the most beautiful parts of Italy and a destination that seems designed for families. Its coastline has soft, sandy beaches with shallow, crystal-clear waters, its medieval towns are gorgeous and traffic free and its rolling hills offer a plethora of outdoor activities to keep even the most adventurous of kids entertained. Compact in size and with an easy to navigate, enjoying all Tuscany has to offer is easy and made truly relaxing by the welcoming nature of its people. Our family has been coming here for generations and no matter the times or the age of the kids, locals always go the extra mile to show that in Italy family, truly, comes first and nothing is more precious than kids. 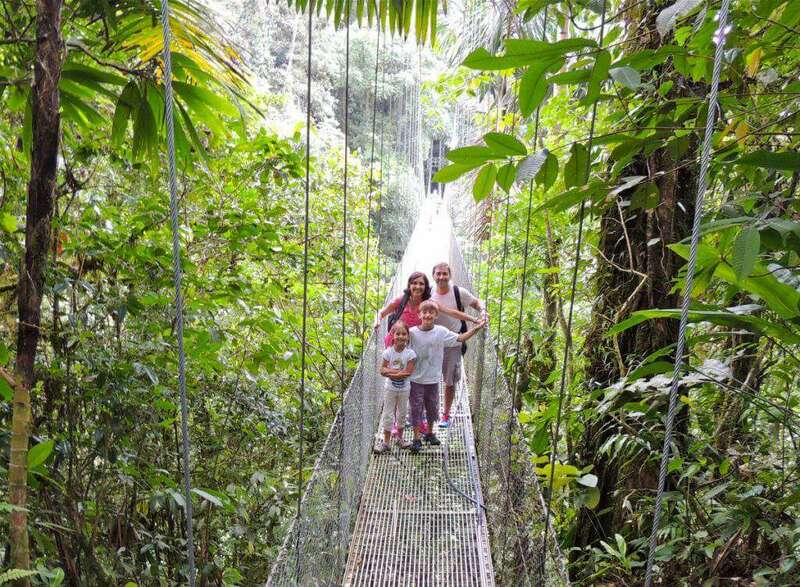 Vera from Hilton Mom Voyage says Costa Rica is a great family vacation destination and if you haven’t considered it for your next trip, you should! Despite being “exotic”, this Central American country is easy to get to from the US and there are often good airfare deals to be found. There is so much to do and to see, everyone in the family is bound to be happy: from great beaches, lush rainforests, hot springs, chocolate and cocoa plantations, to several extinct and active volcanos. There is world famous zip lining, white water rafting, rappelling or surfing. Costa Rica is an incredible outdoor nature classroom: it has the highest density of biodiversity of any country worldwide and is also known as the birth place of eco-tourism. Additionally, many practical matters make this country an easy international trip for the US families: mostly the same (or similar) time zone as home, widely spoken English, easy-to-like local cuisine (not spicy or too unfamiliar), relatively easy access to ATMs or pharmacies, and no need to bring converters or adapters for your electronics. Super friendly Ticos (as Costa Ricans like to refer to themselves) are another bonus. Ready to plan your Costa Rica adventure? Start HERE. Wandering Wagars recommend the unique destination of Jordan and here’s why: Whether your travel appetite involves being pampered at a beach resort, hiking through the mountains, or stepping back in time to explore history, Jordan is a country that can offer something absolutely unforgettable to fit everyone in the family. And because Jordan is so small, you could do it all in just a week! 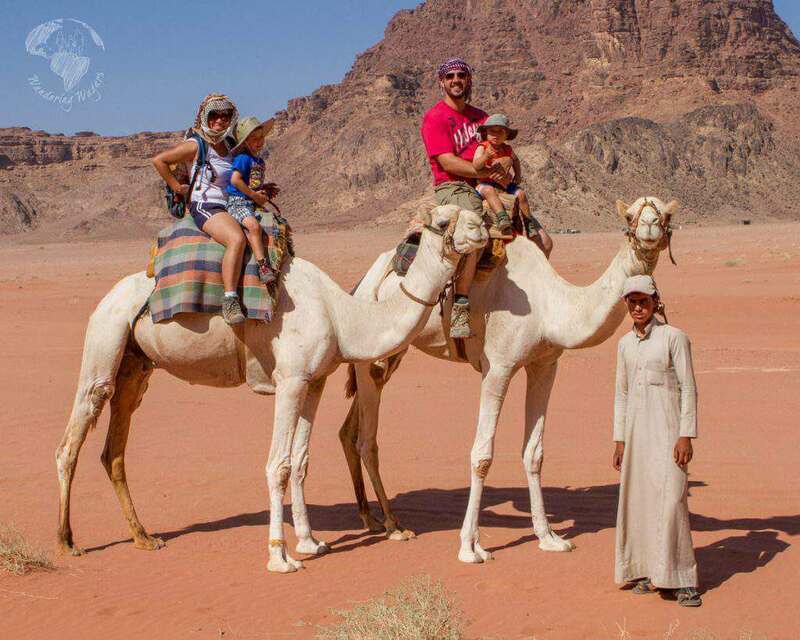 In Wadi Rum desert, adults and children can ride camels under brilliant red stone arches before ending your night eating by a fire under the stars in a Bedouin camp. Along the Kings Highway the entire family can explore the incredible desert castles and walk in the footsteps of Lawrence of Arabia. In the border town of Aqaba, you can lap in luxury in the beautiful coastal resorts along the Red Sea. Don’t think we left out Petra, you can’t visit Jordan without experiencing one of the 7 wonders of the world! 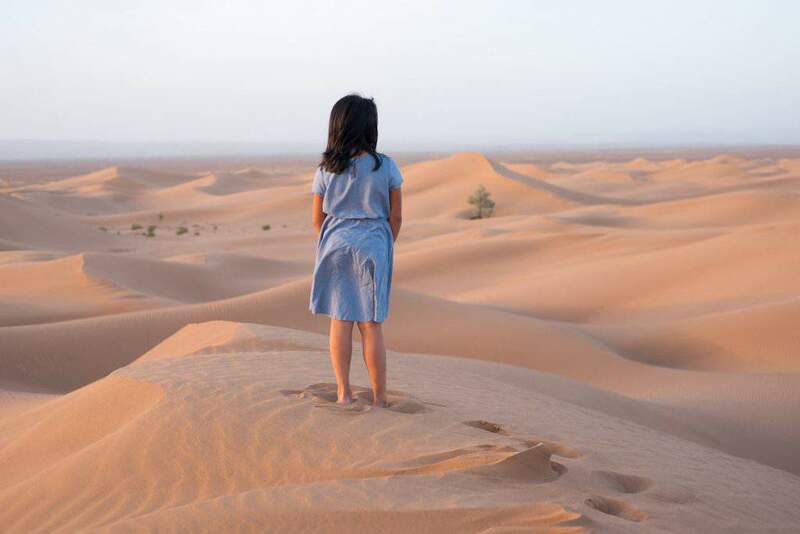 Natalie of My Wandering Family has convinced me to visit Morocco with this description: Morocco is full of exotic mystery and is the perfect destination for an adventurous family holiday. Start with the medina in Marrakech, then head through the Atlas Mountains to camp in the Sahara Desert! Visit argan oil, carpet and pottery cooperatives, walk through ancient kasbahs, learn to make Moroccan cuisine, ride camels, slide on sand dunes, drink gallons of mint tea and gaze upon a million stars! The country is full of soul and beautiful people. Everyone loves children and it is not uncommon for people to kiss them out of the blue or carry them. Morocco has a piece of my heart and I can’t wait to go back for a longer visit. South Africa is a favorite destination for Jurga of Full Suitcase and her family. She says: Western Cape province is probably the most family-friendly destination in the whole of Africa. It ticks all the boxes for us: lots of outdoor activities, stunning landscapes, amazing variety of wildlife, and just as important, good infrastructure, lots of accommodation options for families and great food and wine. Furthermore, Western Cape is malaria-free, and so it can easily be visited by families with young children. Some of our favourite memories from South Africa include watching whales and hundreds of dolphins from ashore in Hermanus, visiting the penguin colony on Boulders Beach, hiking along the stunning coastline of Cape Peninsula and exploring the Garden Route. 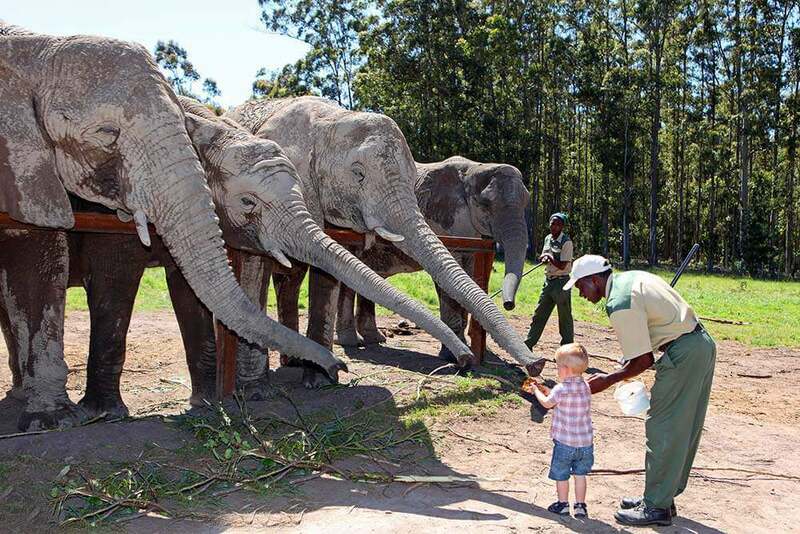 The whole family will enjoy numerous wildlife encounters during safari rides. Furthermore, you can visit ostrich farms, walk among monkeys and tortoises in the free roaming primate sanctuary, see the most exotic birds in the largest free flight bird aviary in the world, or even feed an elephant. If you are looking for a different family vacation for 2017, keep an eye out for the flight promotions to Cape Town and just do it. You’ll love it! 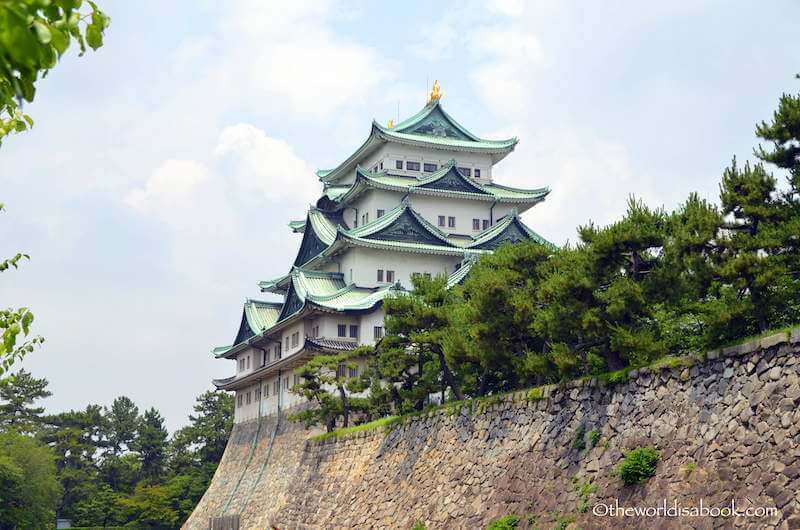 Mary at The World is a Book has this to say: We’ve traveled to Japan several times and highly recommend it as a family-friendly destination that offers something for everyone. The land of geishas, samurais, Hello Kitty, anime and ubiquitous vending machines has so many unique things to entertain even the most discerning kids. There are many theme parks to keep the kids busy but we really love Tokyo’s Disney parks. Japan offers plenty of educational experiences stemming from its history and rich culture. Kids will enjoy temple and palace visits, interesting museums, hands-on activities like origami and taiko drumming. Venture away from the cities and skyscrapers to see natural wonders like Mount Fuji and hot springs and animal encounters with snow monkeys and Nara’s wild deer. Enjoy exceptional experiences like watching sumo wrestlers, riding bullet trains and cherry blossom festivals. We love how clean, safe and easy it is to get around with friendly locals and exceptional customer service. Sharon of Where’s Sharon? has this to say: Phuket is a fabulous destination with a family. There’s beautiful beaches, lots of attractions that suit kids and the best part? The Thai people themselves. They are very welcoming of children and will be lining up to entertain your baby while you eat a pad thai. Phuket is also a very affordable destination with many fabulous resorts, kids clubs, delicious food, cheap massages and good infrastructure. Our kids love holidays on this island! 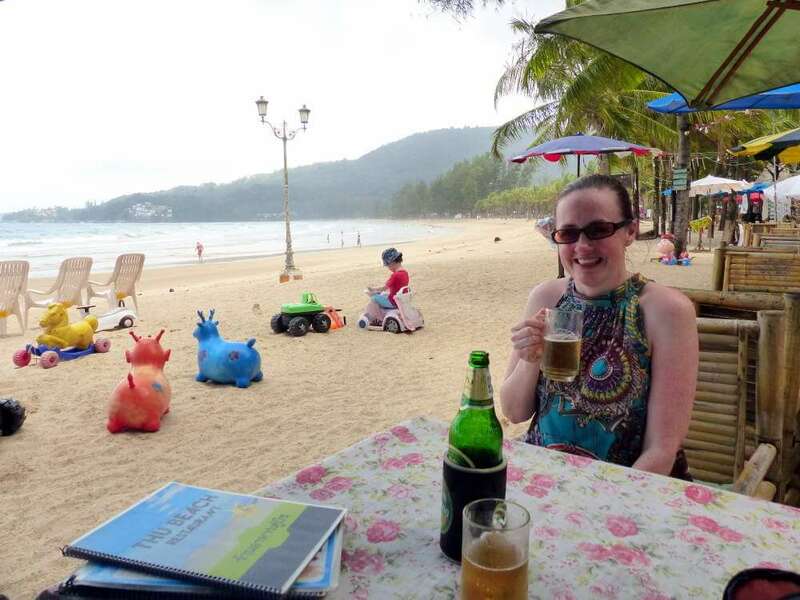 Kamala Beach has a lot of toys to entertain children. If you want to know our choices, we would recommend Indianapolis, Los Cabos and Provence. A diverse group of choices, but we loved them all.